At the core of the Orion Nebula lie four stars known as the Trapezium. 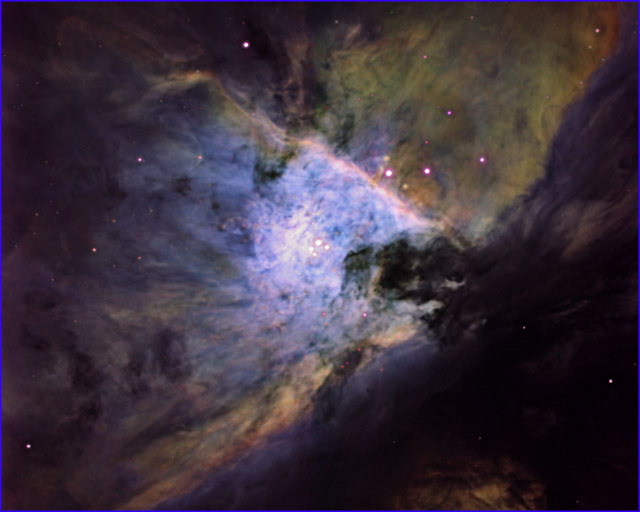 This view shows the gasses in the area as they glow in SII, HA and OIII light. All Images are available for sale, click on "Add to Cart" under each image or "View Cart" below.